Our roller banner stands come as standard with a lightweight designer base and and compact bungee pole. The base is complete with a twist out foot for extra stability. 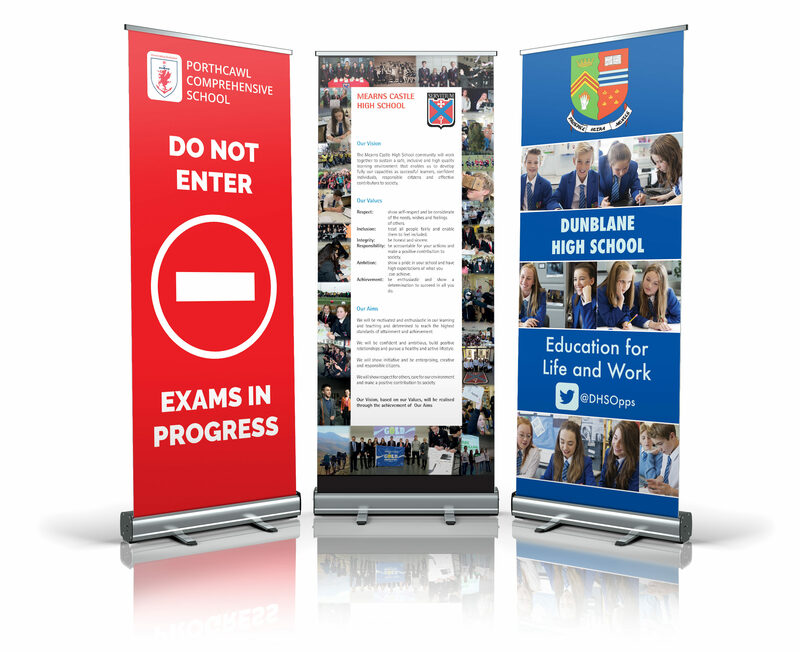 These versatile roller banners can be used to promote the identity of your school, warn students of exams in progress, advertise the school show or any other school event you put on. Sign up today for our student planner two year deal and receive a free bespoke Roller Banner Stand worth £75. Our designers will create a custom bespoke banner for you. This can be based on your school identity or you can opt for something completely unique. Find out more on our offers page.